What are Teeter Hang Ups Inversion Tables? An inversion table is composed of a frame and a pivoting, padded board known as a bed. When upright, the user straps his or her ankles to the bottom of the bed. The user then lies on the bed, pivoting it backwards as his or her head rotates down and his or her feet rotate up – leaving the user in an inverted position. Use of the inversion table enables the body to stretch, reduces muscle pain, and provides balance and orientation training. Many believe this unique product also relieves back pain, reduces stress, stimulates circulation, and increases oxygen to the brain. And, inversion therapy may release shoulder tension, ease tension headaches, stimulate mental alertness, increase skin and hair health, and reduce the effects of aging caused by gravity and poor circulation. It’s also a great way to add extra crunch to exercises like sit-ups. For a quality inversion table, none can match a Teeter Hangups Inversion Table. Founded by Roger and Jennifer Teeter in 1981, Hang Ups Inversion Products include specialized features that facilitate the benefits of inversion such as patented FlexTechnology, which is designed to accommodate deeper rotational stretches to encourage realignment and relax muscles. Teeter Hangups Inversion Tables are the only inversion tables certified to medical-grade standards by Underwriters Laboratories (UL), the authority on product testing and consumer protection. The structural integrity of a Teeter Hangups Inversion Table is assured. And, purchase of a Teeter Hangups Inversion Table includes a five-year warranty covering all components. The Teeter Hang Up EP-550 (formerly the Teeter F5000) is their main model, its features similar to those on all of the Teeter Hangups Inversion Tables. The Ep-550 Teeter Hang Ups Inversion Table rotates on a pivot system. Rotation is simply accomplished by shifting the weight of the arms; the table easily rotates to any comfortable angle. A de-rattler knob reduces shaft movement to allow for quiet, shift-free rotation; this is the only design on the market to structurally engage the main shaft. The smooth rotation allows for oscillation and intermittent traction. The Teflon embedded, epoxy-coated, adjustable roller hinges allow you to pre-select three levels to control the intensity of the rotation, and the tether strap allows you to pre-select the maximum angle of inversion – it’s able to lock at a full 90 degrees inversion. The table is self-controlled and can be unlocked with simple arm movements. The design includes an adjustable head pillow on a flexible, plastic bed surface. Ankle straps are foam, curved to fit snugly; the comfortable ankle clamps hold you securely while inverting. Additional support can be gained by use of the optional Teeter Hangups Gravity Boots. The EP-550 also offers durable, injection-coated rubber handgrips featuring an embossed guide to the angles of inversion for up and down movement. The equipment’s key structural components consist of heat-treated, high quality carbon steel and triple-plated chrome for increased strength and durability. The triple-plated chrome main shaft has a steel wall thickness at least twenty percent greater than any main shaft on the market. The shaft features embossed height markers in both inches and centimeters for easy adjustment. Height capacity is 4’8″ to 6’6″. Weight capacity is 300 pounds. The EP-550 folds compactly for storage in a closet or corner. Assembled, the equipment is 66 x 28 x 14 inches; folded, it’s 45 x 28 x 58. Patented cam locks ensure proper assembly. Self-locking hinges secure the table bed to the A-frame for improved security and portability. The nylon mat with triple-stitched seams removes easily for washing. 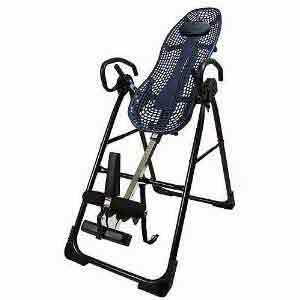 An instructional DVD is included with the purchase of all Teeter Hangups Inversion Tables. 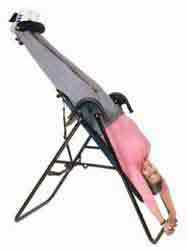 Who can Benefit from a Teeter Hang Ups Inversion Table? It should be rather obvious that inversion tables are not going to help you improve your cardiovascular fitness or lose weight. While there is still a hot debate over the true scientific benefits of the Teeter Hang Ups Inversion Table they are mostly popular because they provide relief for back pain. 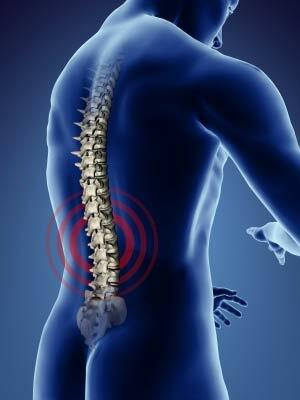 While some claim the inversion table healed their back problem most people only get temporary relief from their persistent back and other compression related joint pains. For most people suffering from a bad back, the temporary relief Teeter Hang Ups inversion table provides is worth its weight in gold. Whether or not an inversion table is for you depends on your personal situation. If you have children around make sure to keep them away from the inversion table as they could get hurt while playing on it. While the obese commonly suffer from back and joint pain due to their excess body weight, it should be noted that many of the side effects of obesity can make inversion therapy dangerous. The same goes for elderly users. Are Teeter Hang Ups Inversion Tables good for a Home Gyms? Teeter Hang Ups inversion tables are designed for home use and can be a great addition to your home gym if needed. It should be noted that to be used safely they should be used in a clutter free area. Is the Inversion Table good for the Commercial Gym Setting? Due to the numerous dangers for certain people no commercial gym would be able to have a Teeter Hang Ups inversion table for members to use. Are Inversion Tables Good for Personal Trainers? It really depends on which clientele a personal trainer works with but it is safe to say that most personal trainers could use an inversion table to give their clients better service. Whether the personal training clients are recovering from injury or even elite athletes, inversion therapy can offer desirable benefits to the right clients. Where can I Buy Teeter Hang Ups Inversion Tables? The Teeter Hang Ups inversion table can be found on numerous fitness equipment vendors online sometimes for prices which can be below retail. We have provided links below to our favorite vendor which offers a slew of models for very competitive prices.